Chrome for Android has a new update rolling out that brings a lot of improvements to the offline functionality of the browser. The ability to view downloaded content offline in Chrome isn’t something new but this update goes a long way in making it easier to download that content and to get back to it later. First, there is a new Download Link feature. When you are viewing a page and run across a link, long press it and in the dialog box you will see an option to download the link. This will download the content of the link which you can view while you are offline. Next is a new download page later feature. If you using Chrome and go offline, you will see the 8-bit dinosaur. You will now also see a Download Page Later link. 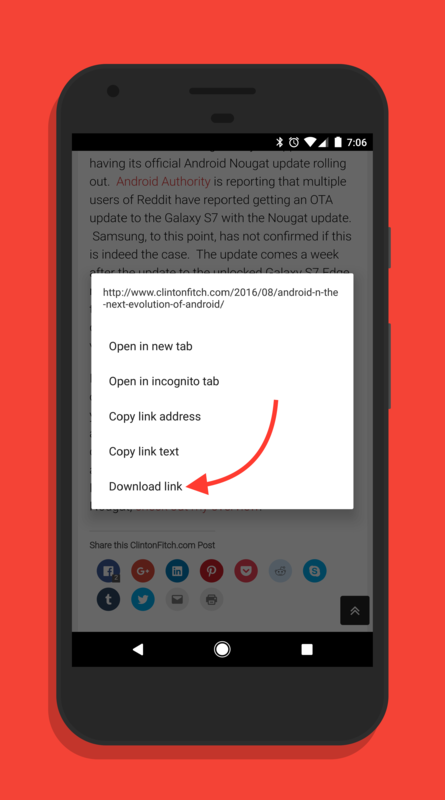 Tap it and when you get back online, Chrome will automatically download the page for you so you can read it. downloaded pages now are in the Downloads section of the app. You can easily find them now along with anything else you have downloaded to your device. When you are done viewing that offline content, just long press the article in the Downloads section and you can delete it. If you have Chrome for Android installed, the OTA update that enables these features is hitting devices now. You should expect it to hit your phone over the course of the next few days.